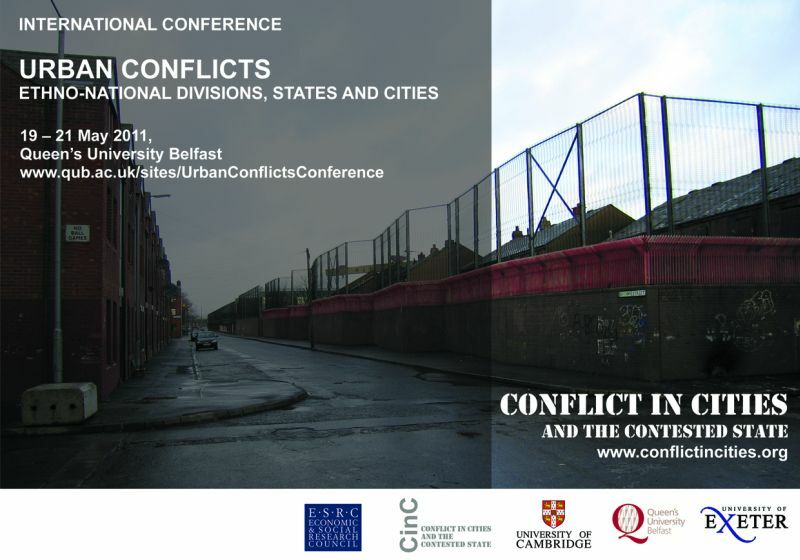 The Conference is to be held at Queen’s University Belfast on 19 – 21 May 2011. It is organised by the Conflict in Cities and the Contested State ESRC Research Project (2007 – 2012) and partly sponsored by the World Bank's World Development Report 2011 - Conflict, Security and Development. This is a multi-disciplinary conference with a focus on the nature and dynamics of ethno-national conflicts as manifested in contested cities. Conversely, it questions how cities and everyday urban life are used - and abused - in the containment of these wider national conflicts, and it explores their potential for achieving the self-sustaining moderation, constructive channelling or resolution of conflict. It aims to enhance dialogue between academics and non-academic urban policy practitioners and community activists working in such contested cities. The conference adopts a multi-dimensional and multi-level approach to ethno-nationally divided cities, historical and contemporary. It incorporates questions of empire, national state and city interrelationships, international and historical comparisons, city planning and regeneration, political, economic and cultural developments, everyday life, violence, resistance and agonistic urbanism. 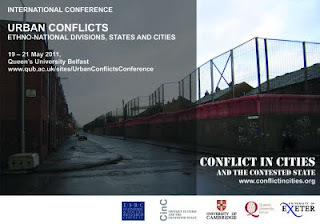 The conference will include plenary and parallel sessions, round table discussions and a guided tour of Belfast’s ‘peacewalls’ and ‘shared spaces’. The opening keynote address will be given by Saskia Sassen.